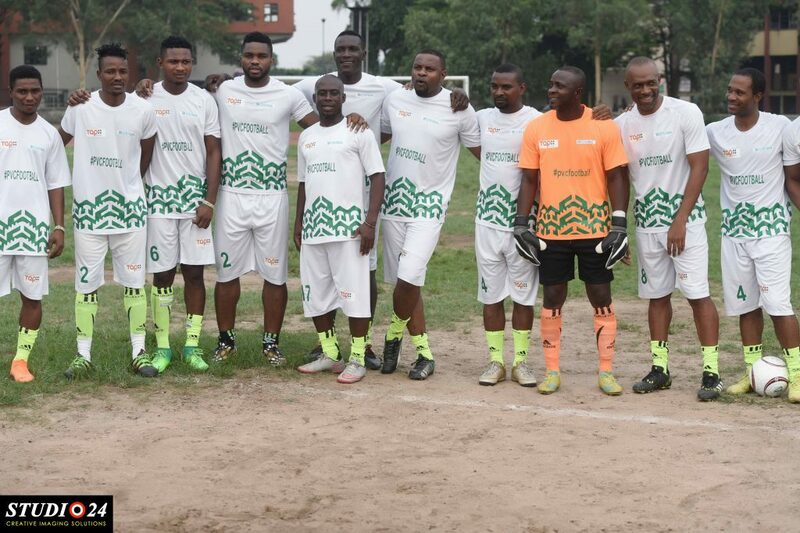 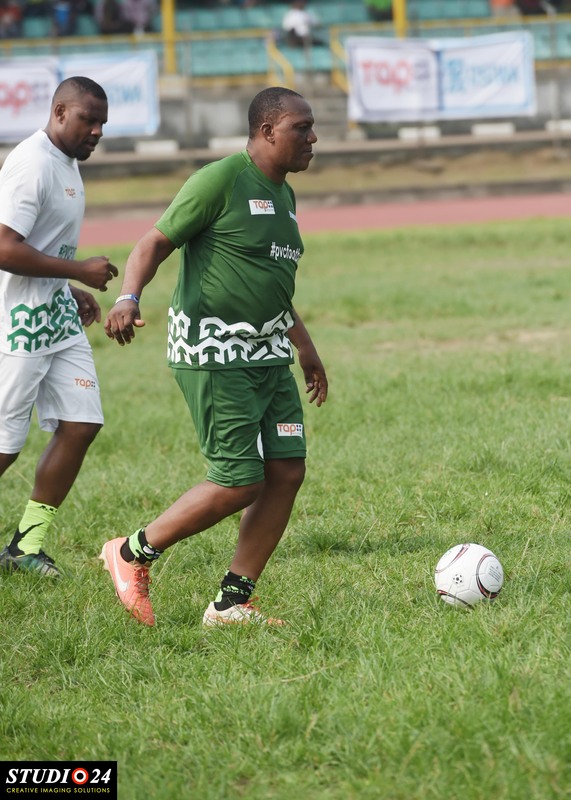 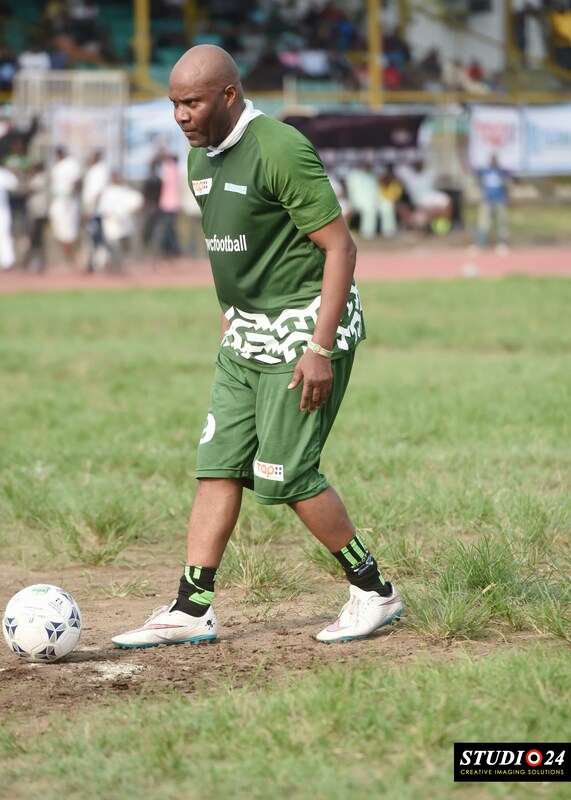 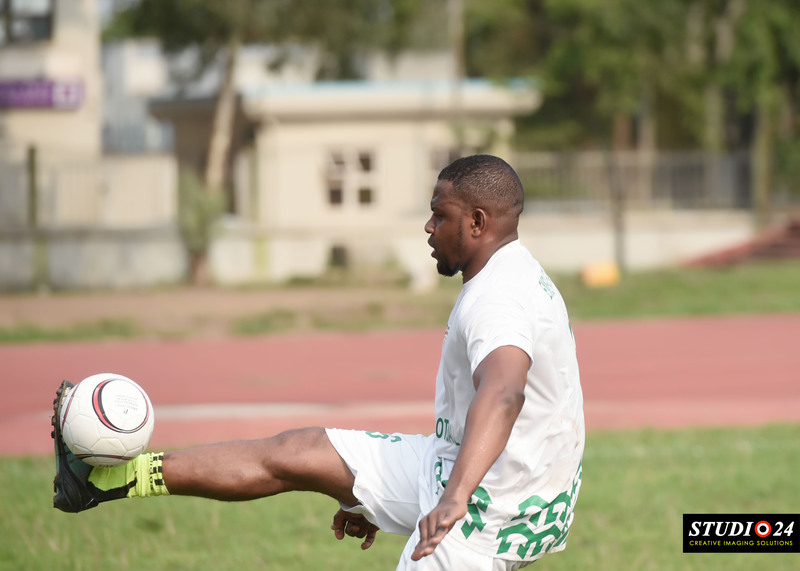 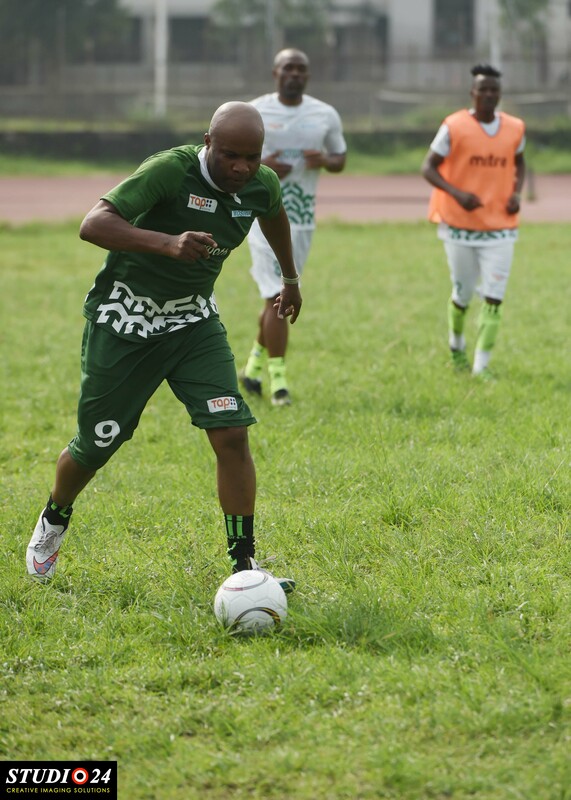 The 2013 AFCON winning team won the 1994 Super Eagles team 5-3 on penalties to emerge as the champion of PVC Football Novelty Match played at the Yabatech Sports Complex on Saturday, February 9, 2018. 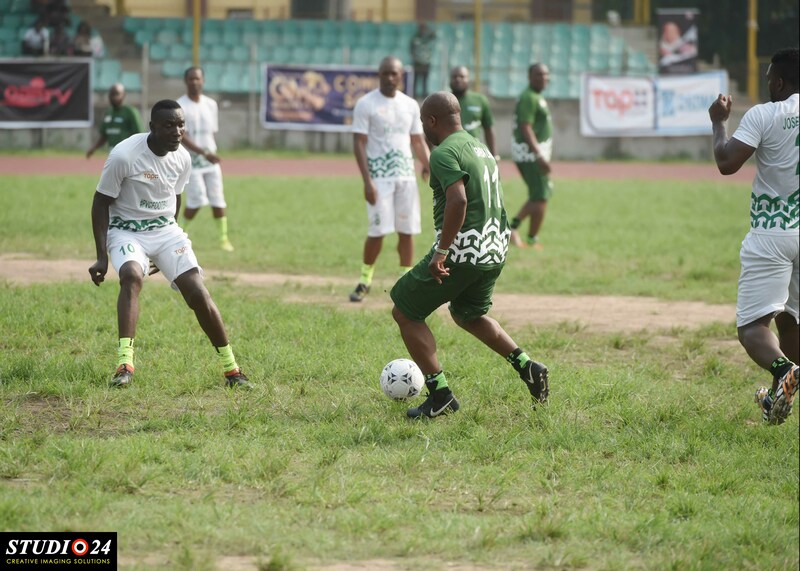 The novelty match aimed at motivating young people to actively participate in this year’s election was organised by Tap iNitiative in partnership with OSIWA and sponsored by Studio24Nigeria and GM Records. 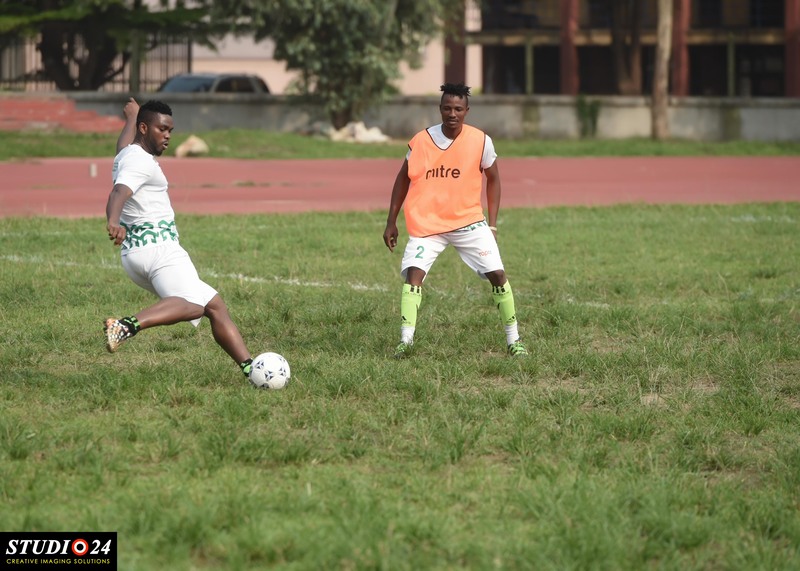 The 30-minutes match ended goalless before going into penalty shoot out to decide the winner thanks to the 2013 Super Eagles goalkeeper Emeka Ikejiofor whose goal sealed the victory for the team. 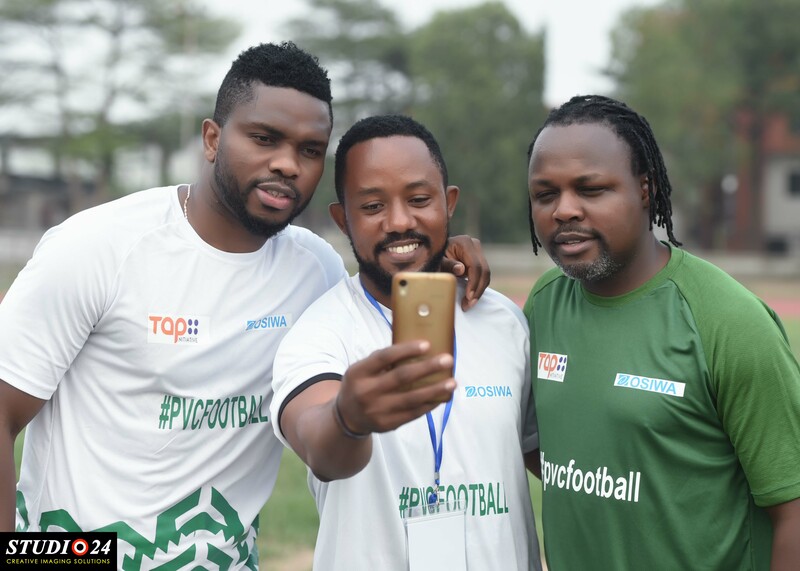 While the 2013 AFCON winning team which had array of young players dominated possessions, but efforts by the team Captain Joseph Yobo who played forward were saved by experienced goalkeeper of the 1994 Super Eagles team Aloy Agu. 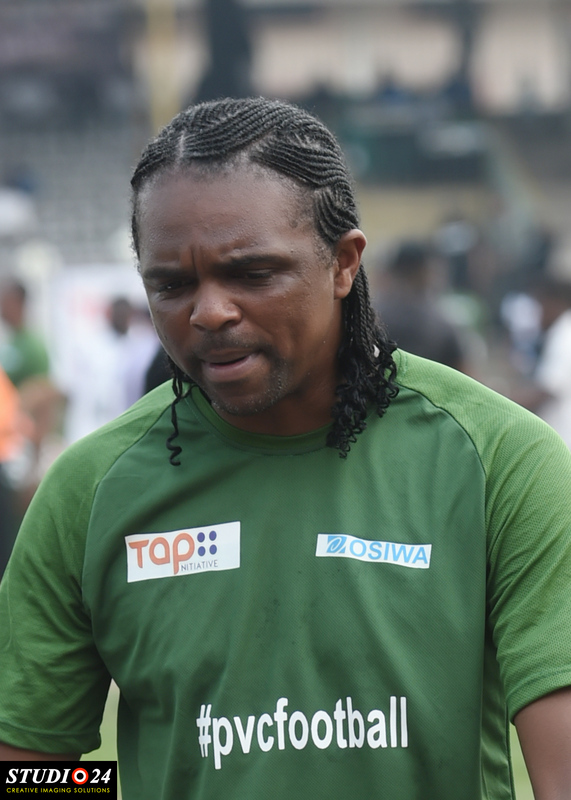 Ex international players that featured for the 1994 Super Eagles includes Victor Ikpeba, Ben Iroha, Okechukwu Uche,Mutiu Adepoju, Samson Siasia, Kanu Nwankwo, Godwin Opara, Waidi Akanni and Aloy Agu as goalkeeper.